Assalamualaikum, dearest friends and readers. 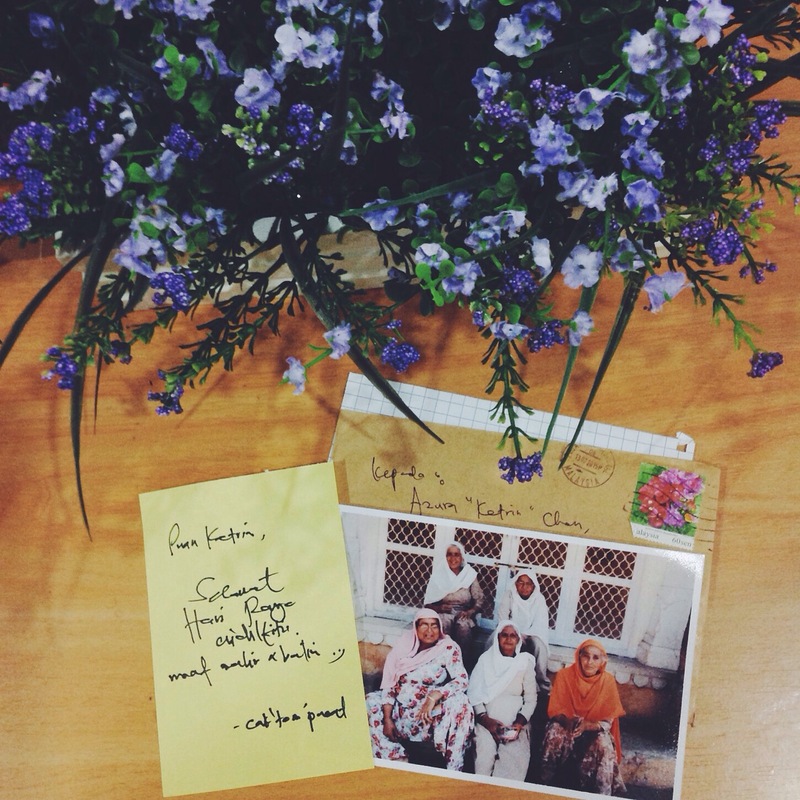 Recently, I received a rare Raya card from Tom. Tom – Ketrin, lol! That was our nicks during Myspace era. Yeah, we are still contacting each other. I really adore his photography. That day he mentioned if anyone wanted to have free Raya card from him, just submit the name on his instagram account. I didn’t waste the chance, so I took part but I didn’t managed to get that card. Luckily, he did reserved one for me. Ehee. Thanks again, Tom. And if you are into photography, I recommend you to follow his instagram @cakpucat I’m sure you’ll be mesmerised by his artworks. Assalamualaikum, lovely friends and readers. 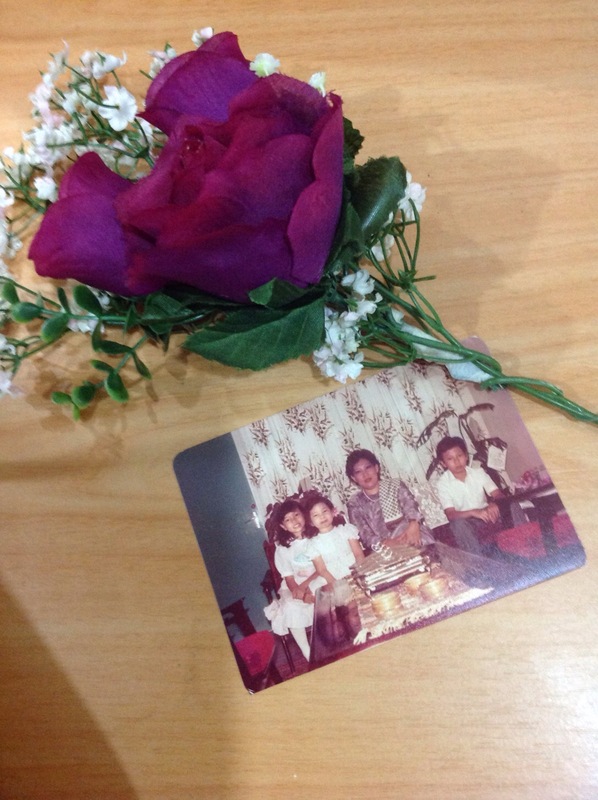 Ever wonder how do our Raya photo look likes during 1980’s? Back then I was still the youngest from three. My neighbour were still calling me ‘Baby’. 😆 Yeah, that cheeky face. Lol! Can you spot the Queen Anne set on the table? As I remember, every house has the Queen Anne set to serve the food including fruit cakes. Queen Anne set was very popular back then, and nowadays it’s kind of vintage. How do you like these froggies? Aren’t they very very adorable? They are made from felts. 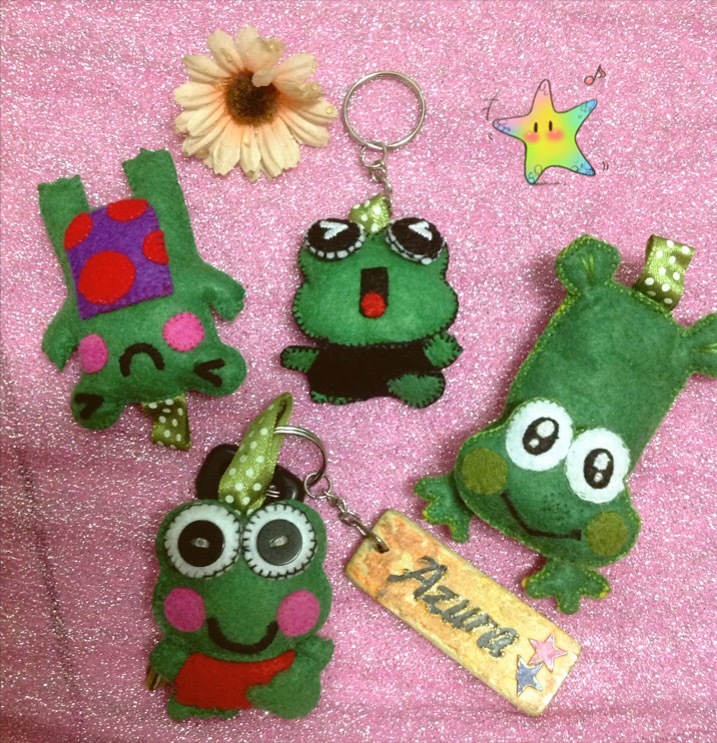 I didn’t sewn this froggy, instead I got them from my friend Edzy. She is really good in making felt crafts. When talking about felt crafts, I love the creation from her. 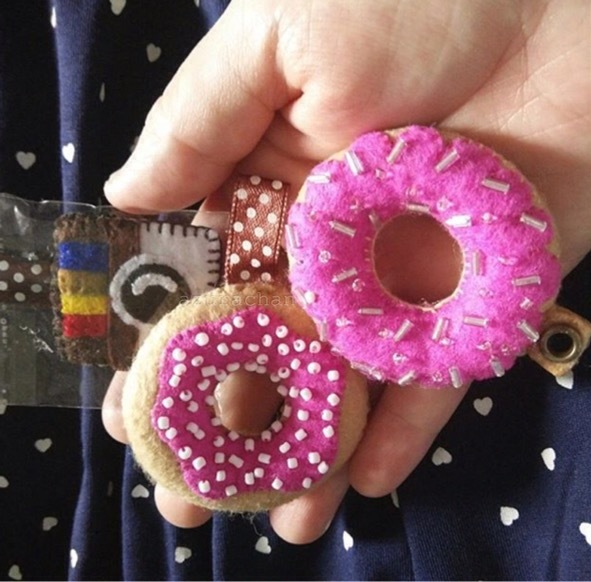 Recently I bought the two doughnuts and mini instagram keychain from her. 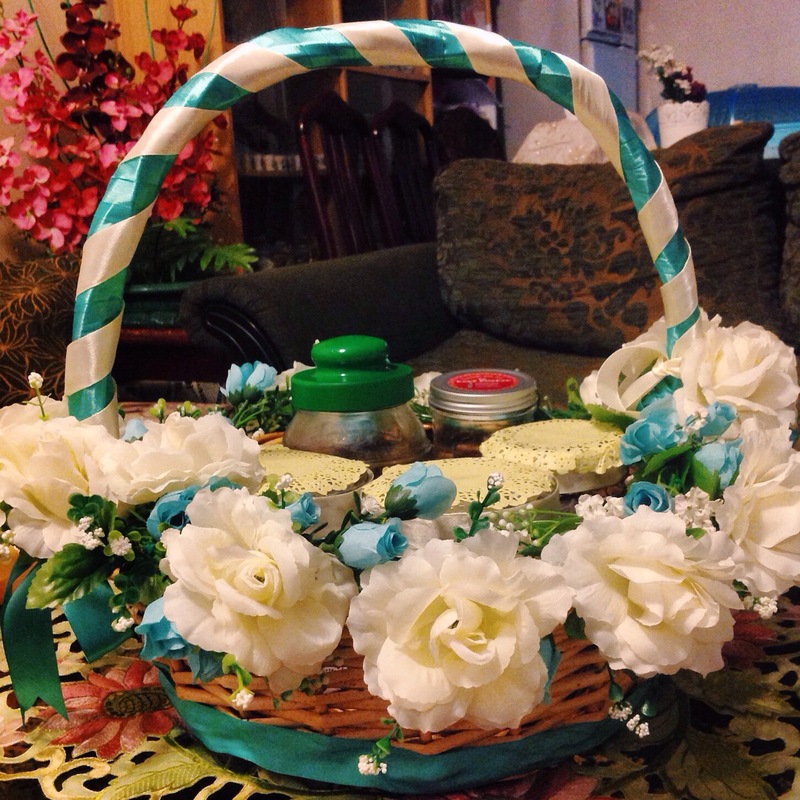 You guys can visit her instagram account @edzycraft to see more of her cute creations. Assalamualaikum, how have you been my dear friends and readers? My best friend Edzy, came from Bintulu that day. She told me when she went to their aunt’s house for visiting she spotted there were full of grown cactuses in the garden. 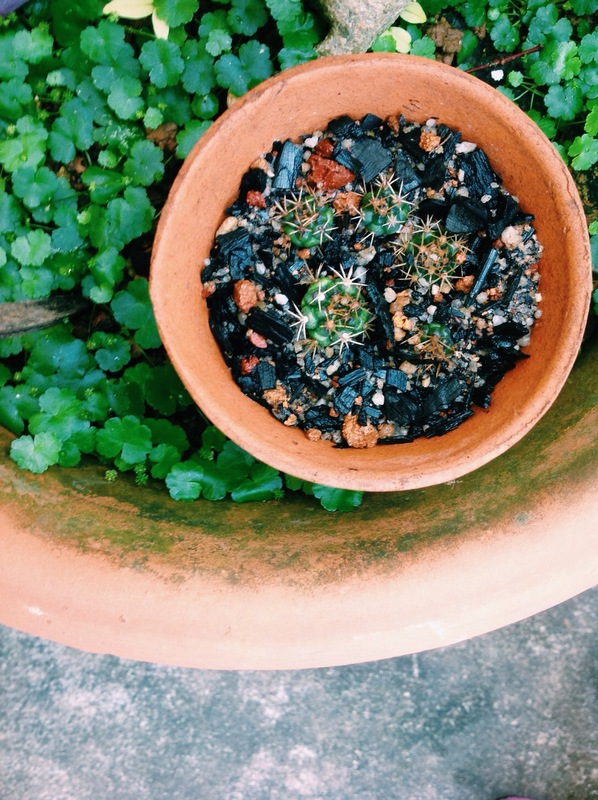 The aunt gave her so many ‘baby’ cactuses and then Edzy gave some of them to me. I was like 😍 jumping in the air when I saw the babies. Without hesitation I took them and planted it everywhere. Yes, everywhere. Lol! 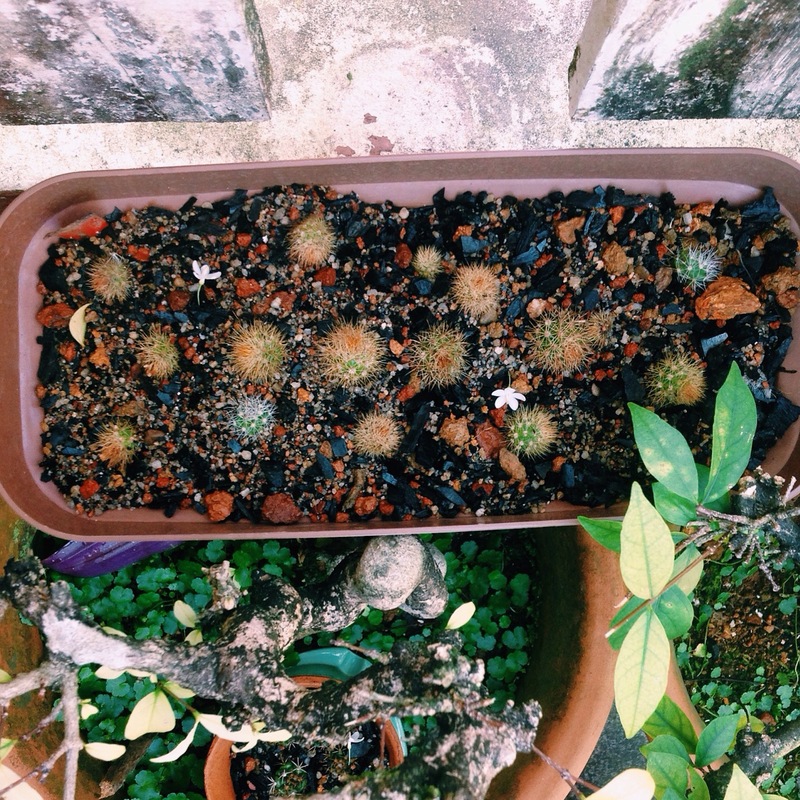 Please grow up well and beautiful cactis. Looks like I am now irresistible to cactus and succulent. Whenever I saw any kind of this plant, I must have one for collection. I could spend few hours with them and they’re does makes me happy and calm. What about you? 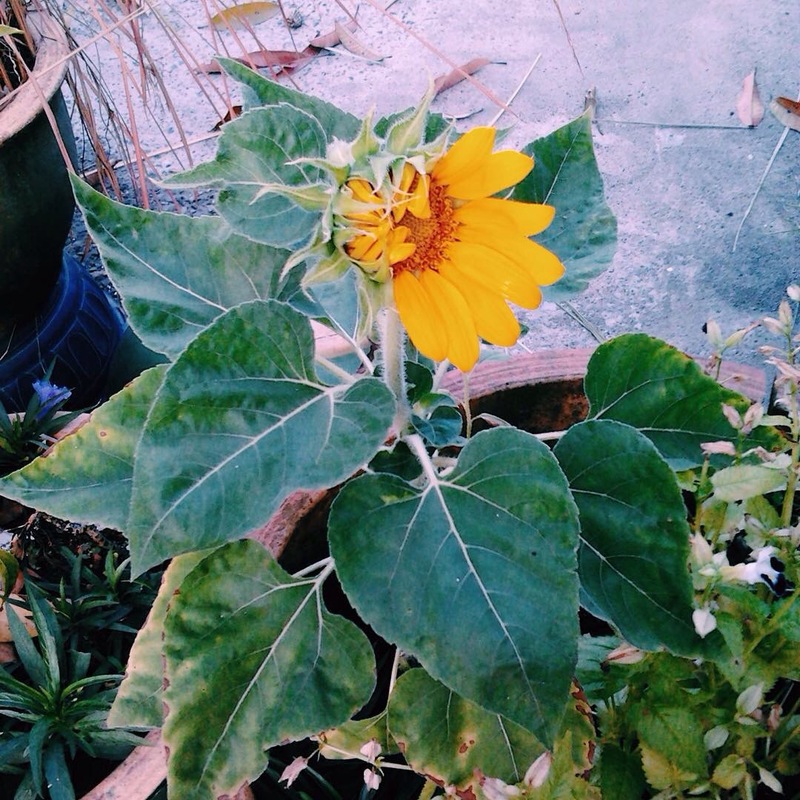 Do you feel calm whenever you’re closer at plants? Assalamualaikum, how are you my friends and readers. When I heard my old high school friend, Oster (her nick during high school 😆) was came to Kuching to celebrate Raya with her husbands family, I was so excited. 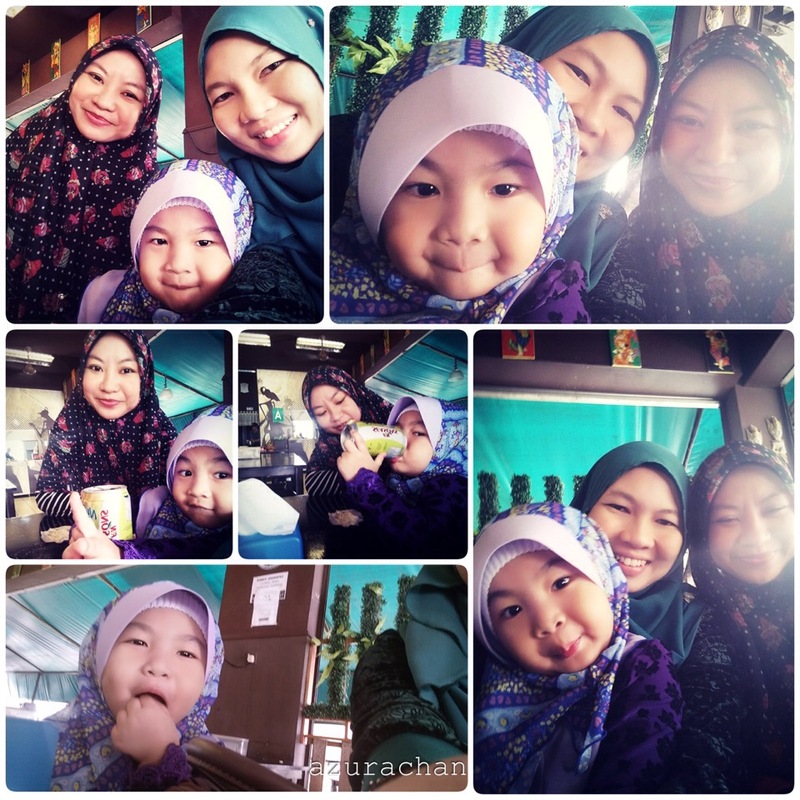 On the second day of Raya I went to meet her. All this while we were only contacting each other via facebook and whatsapp. After 16 years old apart, that night we were reunited. ☺️ Syukur… Like before, she didn’t change at all. Her laugh, her smile, her voice…. I’d forgotten that we are so grown up. Lol! 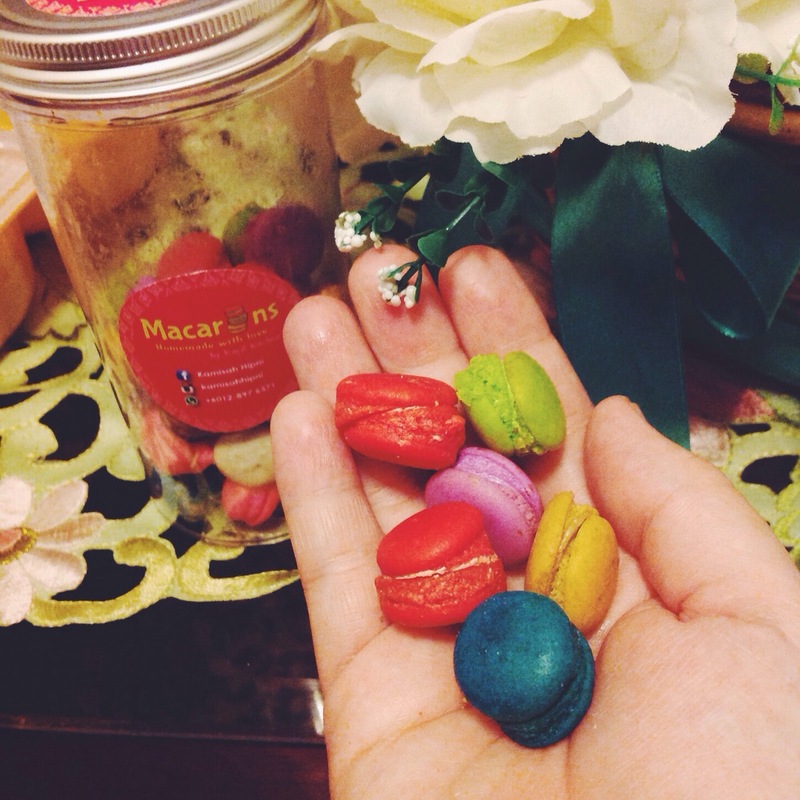 On the fourth day of Raya, I went to meet another bestie – Edzy. 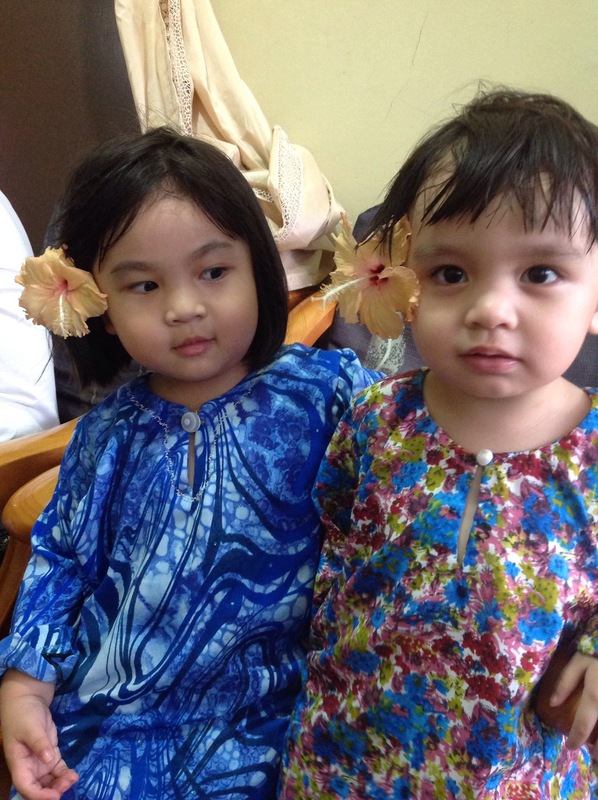 The last time she met Amani, Amani was so clingy and crying. Luckily that day, Amani had a good mood. She even enjoyed her meals and wanted to chat woth them. 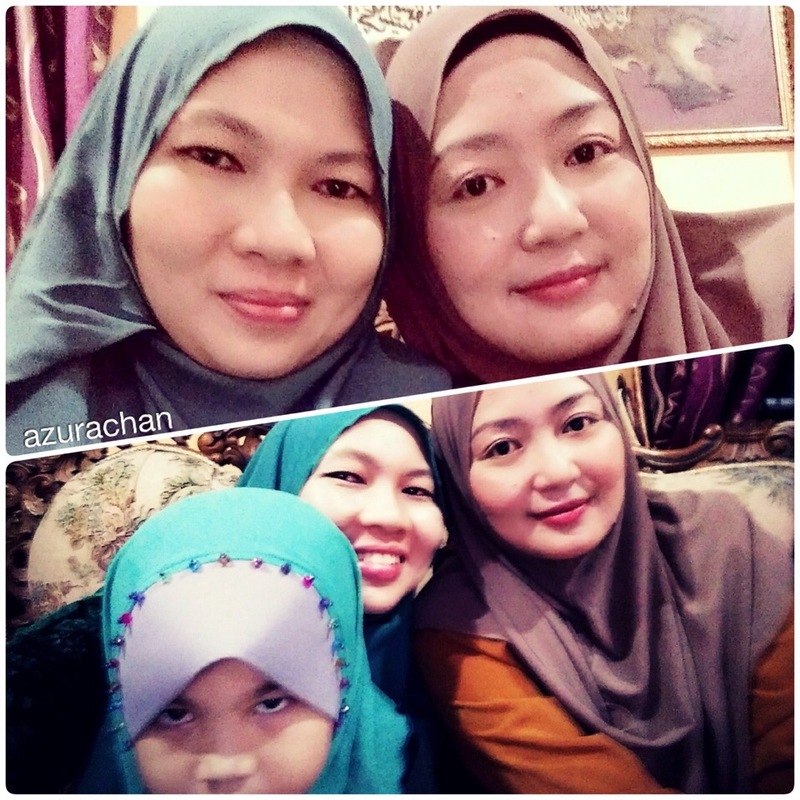 Syukur Alhamdulillah, this Syawal has reunited me with these two girls. 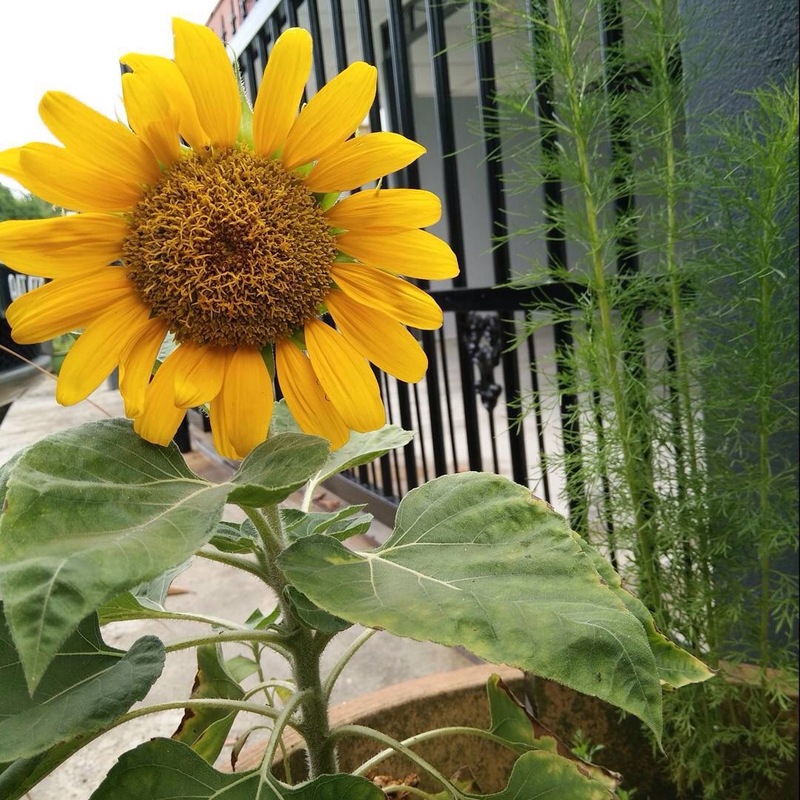 Presenting my dwarf sunflower, started to wink at me on the first week before Raya. I got the seeds from a member in a Malaysian Gardeners group. I divided half of the seeds for DearDear to plant them at his office. Another half I planted on this pot. After few motnhs, only one of them grown up. Assalamualaikum, how are you my lovely readers and friends? Sadly, we even didn’t have a proper family picture taken this Raya. We were so busy going here and there (visiting my parent in law and DearDear’s grandmother house). If we are not visiting, we would only stayed home which was preferable since the weather was so so hot. That’s all, some wrap up of my Raya celebration. Soon I will post about my reunion with my long lost high school besties.